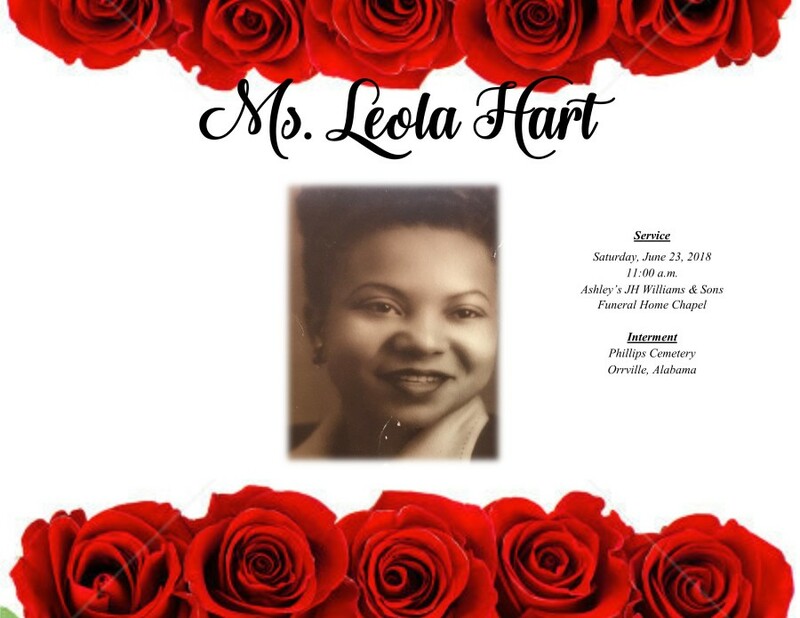 Leola Hart, 92, of Marion Junction, Alabama passed away on June 14, 2018. Services will be held on Saturday, June 23, 2018 at 11:00 a.m. at Ashley's JH Williams and Son Funeral Home Chapel. Interment will follow immediately in Phillips Cemetery in Orrville, Alabama. Ashley's JH Williams and Sons compassionate and courteous staff humbly thanks the Hart for selecting our firm for the final rites of passage of their loved one.